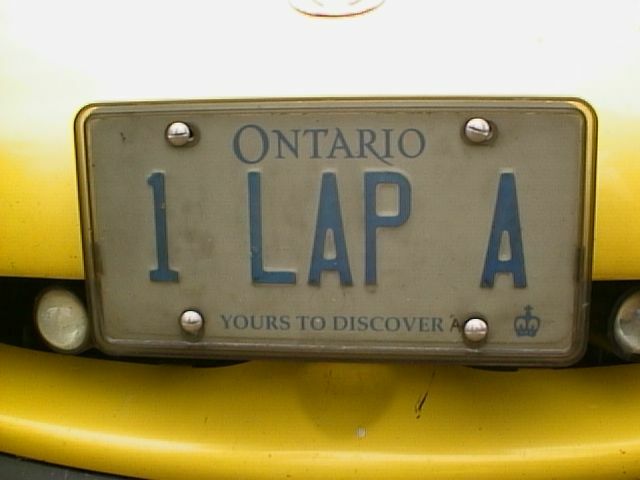 One Lap, eh? 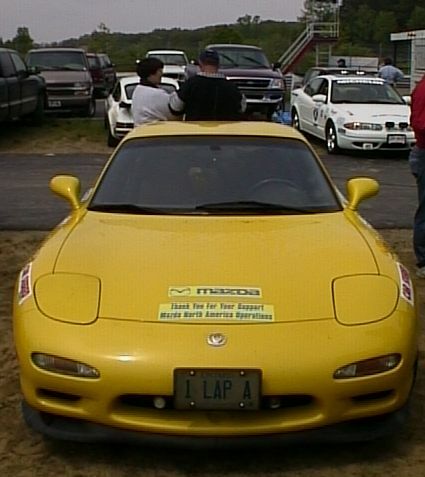 The Canadian team of Rick Potter and Steve Cole made a strong showing in the 1999 One Lap of America competition. 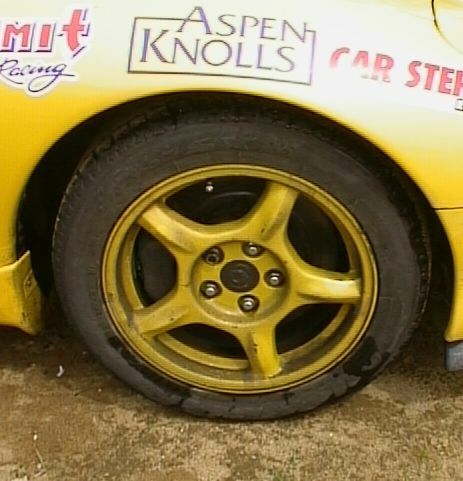 Despite losing some key performance parts to theft before the start of the competition, Rick and Steve managed to finish sixth out of 102 cars overall, and took fifth place in their class of 23 cars. A very impressive feat considering the caliber of the competition. This is truly a testament to the driving skills and endurance of the team and the capabilities of the machine. Bravo, gentlemen! This page has a bunch of miscellaneous pictures taken at the last track event. 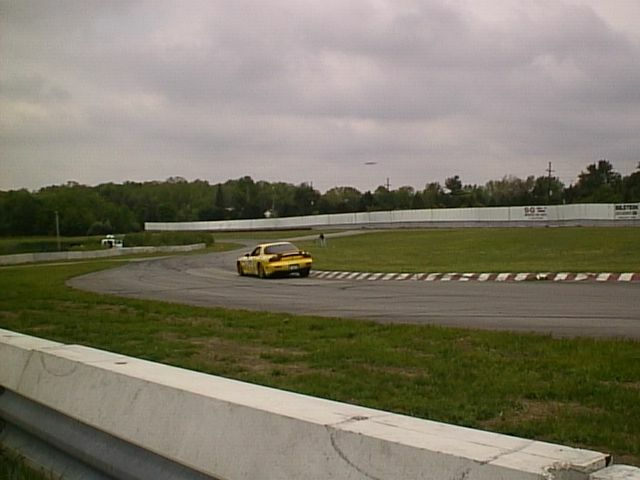 The pictures were taken on May 22, 1999 at Waterford Hills raceway in Clarkston, Michigan. 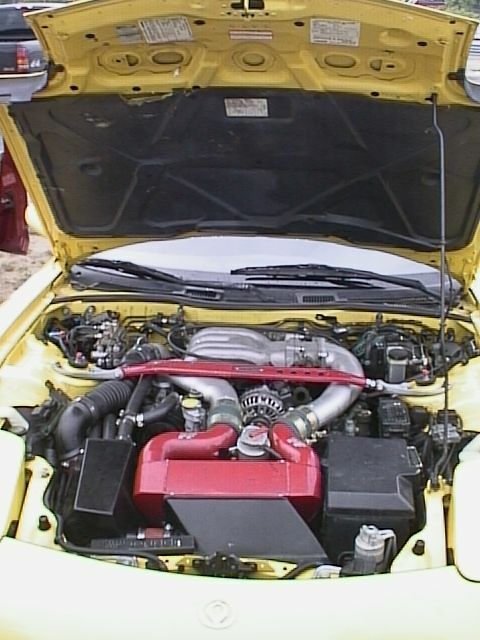 The engine compartment shows the PFS intake and intercooler. 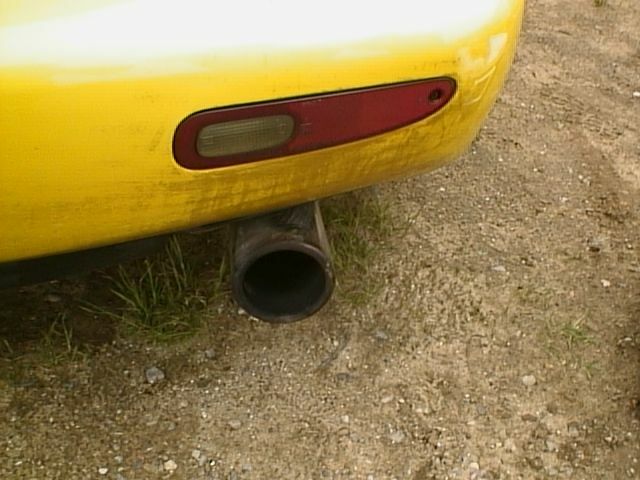 They also had a PFS exhaust system and hollowed out cats. There was a J&S Safeguard system to prevent detonation, though they were only running stock boost (10 psi or less). The PMC they were going to use was stolen before the event, leaving the car with 50-100 less horsepower than they had hoped to run. No cats means lots of soot on the bumper coming out of the PFS exhaust system. This is after some cleaning! 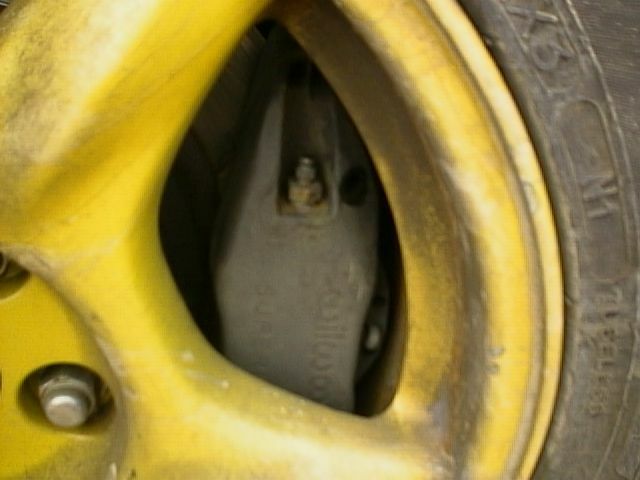 The wheel were painted yellow to match the car, and the front brakes had been upgraded with bigger rotors and Wilwood calipers. 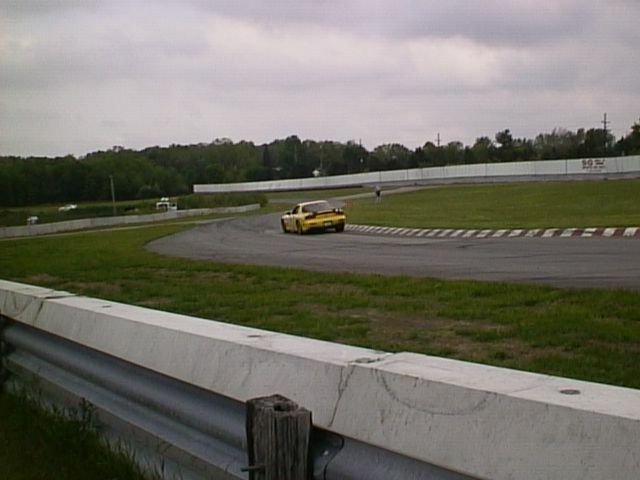 Here is Rick on the track. He is so smooth that he made it look easy. 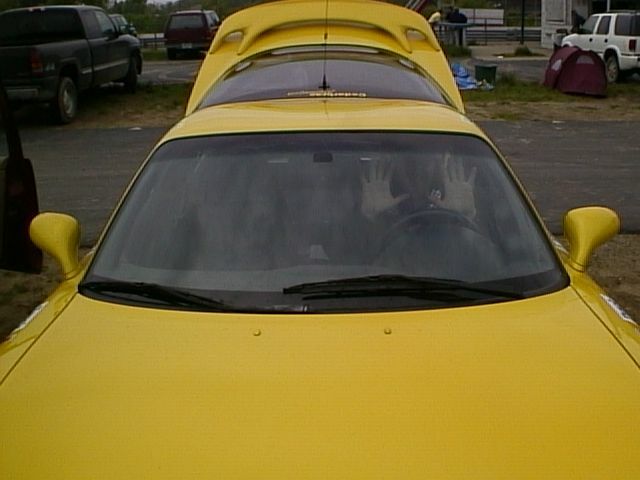 I would like to thank Rick and Steve for answering my questions and letting me take some pictures of the car. Rick and Steve were very gracious and are genuinely nice people. Thanks, guys!